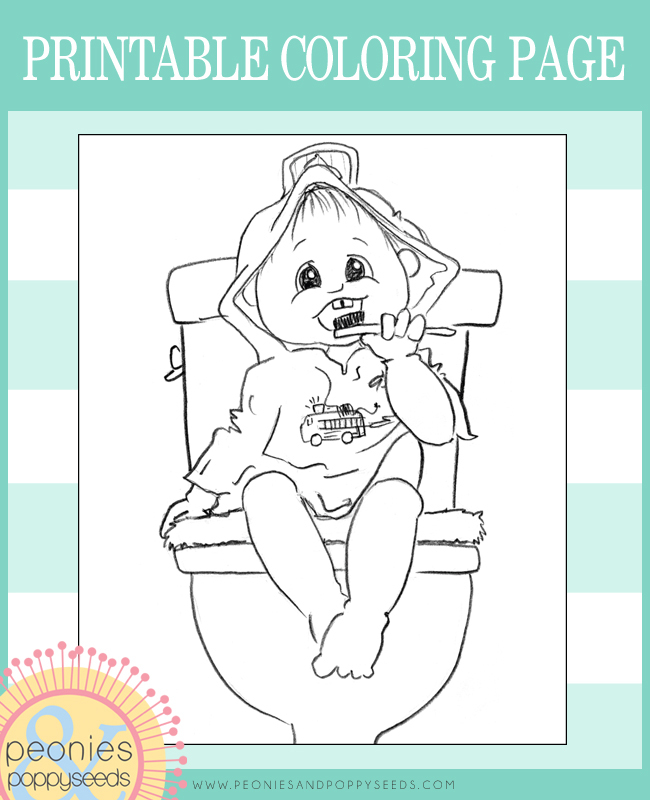 This free printable coloring page has a back story. When my monkey son was a little younger he was super crazy and hard to keep up with. One night after his bath he took off running in his fireman towel and it took me a second to find him. He had gone into the other bathroom, where he proceeded to pull an old toothbrush out of the garbage can - I walked in the door just as he was putting it in his mouth. And that's the story of this coloring page.